It's the brand Château Suduiraut which produces the Cognac Château Suduiraut Old Bottling , a cognac from France. 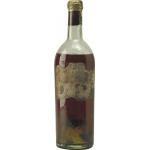 Uvinum users give this Cognac Château Suduiraut Old Bottling 3 of 5 points. What are the opinions of other vintages or volumes of Cognac Château Suduiraut Old Bottling?